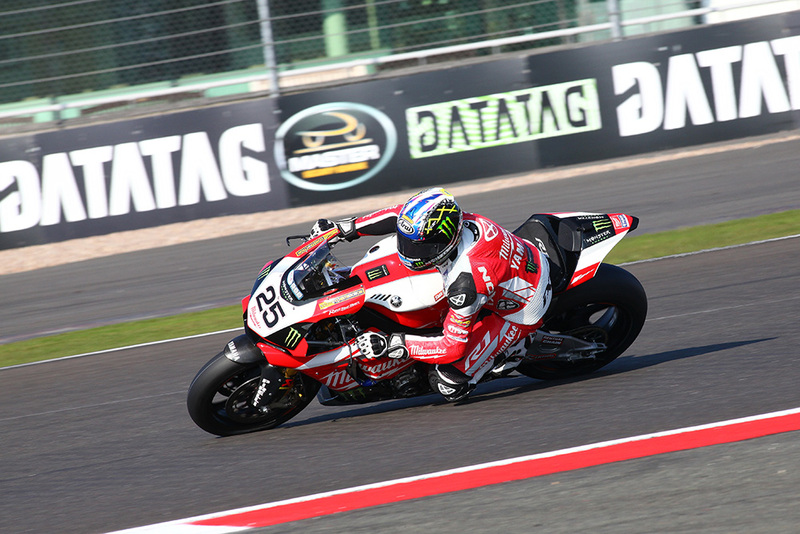 Josh Brookes returned to the top step of the podium in the second MCE Insurance British Superbike Championship race at Silverstone to extend his advantage at the top of the standings ahead of the triple-header final round at Brands Hatch (16-18 October). On the opening lap Shane 'Shakey' Byrne hit the front of the pack from his pole position ahead of Dan Linfoot and Peter Hickman with James Ellison also in close contention. The JG Speedfit Kawasaki rider was instantly on the attack and first passed Hickman and then Linfoot within the space of four corners. Ellison then tried to do the same to Byrne, but the defending champion forced his way back ahead but he then made a move that stuck to lead the third lap. 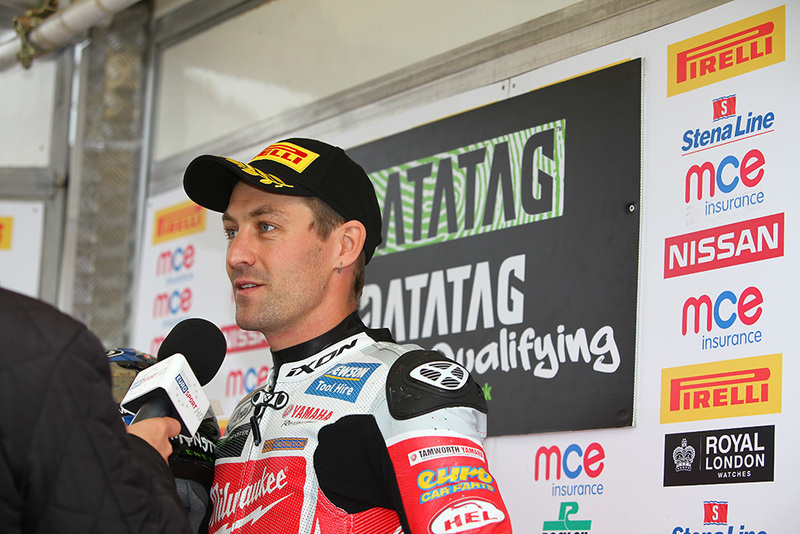 Brookes had started from the second row and he was picking off his rivals throughout the opening laps, holding sixth on the same lap but by two laps later he had moved through to fourth and then made a move on both Linfoot and Byrne to move from fourth to second. 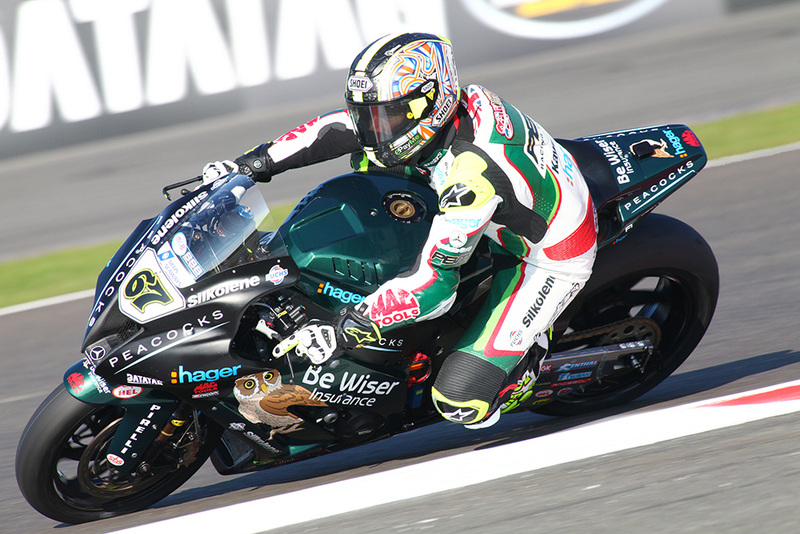 The Australian contender then dived ahead of race leader Ellison on the run through Maggotts to Becketts whilst Linfoot also had moved up to second ahead of the JG Speedfit Kawasaki rider with Laverty, Byrne and Iddon in the same group. Brookes was moving ahead as Ellison dramatically dropped down the order with a grip problem to end the race outside the points in 17th place. Linfoot and Laverty were exchanging blows for second place but the Honda Racing rider had the initial edge until the penultimate lap when the pair traded position three times in as many corners but the Tyco BMW emerged ahead and held off Linfoot to the line on the final lap. 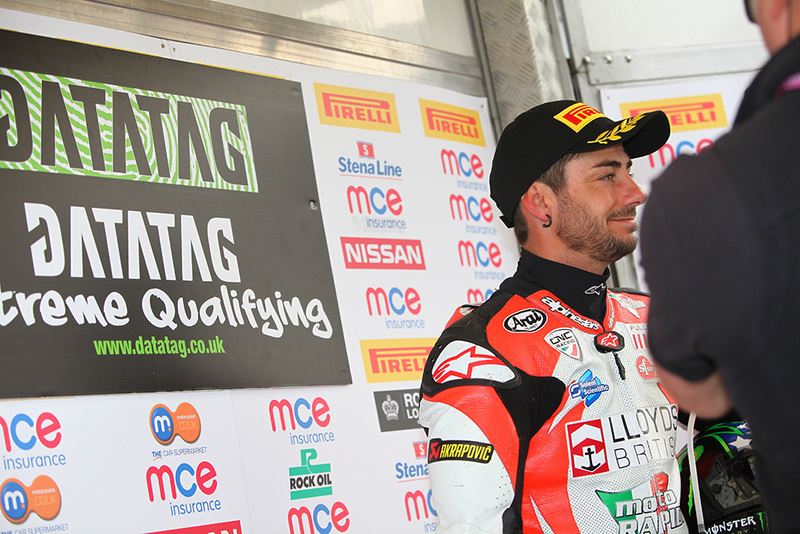 Iddon celebrated his best performance of the season in fourth place for Bennetts Suzuki, snatching the position away from defending champion Byrne on the final lap as the PBM Kawasaki rider struggled over the final laps of the race. 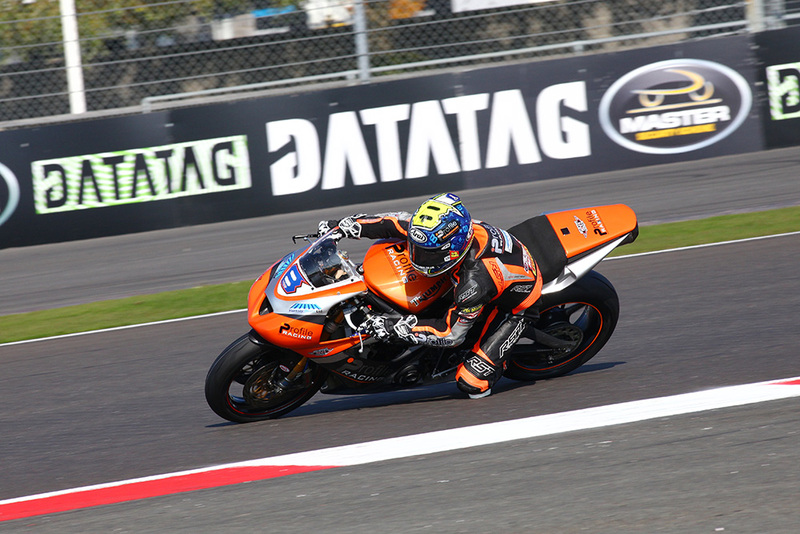 Richard Cooper won his battle with Peter Hickman for seventh position with Lee Jackson and Luke Mossey completing the top ten which featured five different manufacturers and nine different teams. 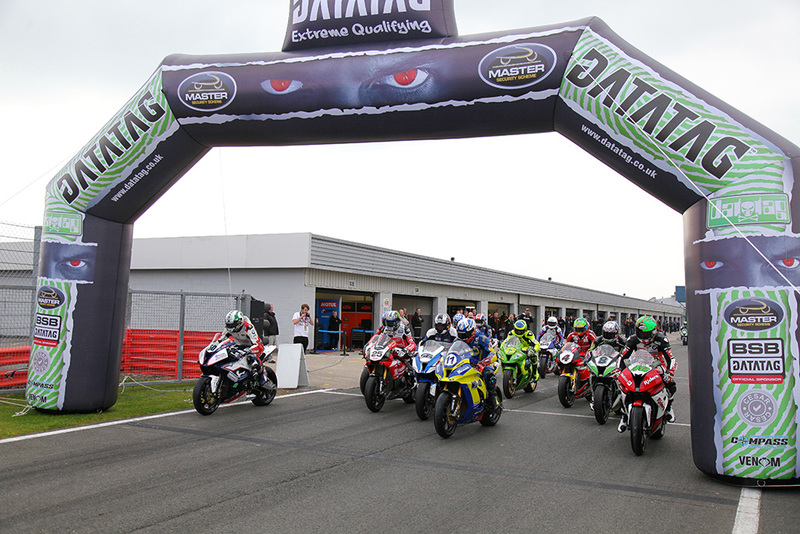 Josh Brookes claimed pole position by annihilating the existing lap record to set the fastest ever Superbike lap of Silverstone during Datatag Qualifying ahead of tomorrow's MCE Insurance British Superbike Championship races. Brookes said: "I kind of changed my character a bit during qualifying as normally I will do two, three or four laps and ride to the chequered flag, but in Q2 I did a really nice lap and I felt there wasn't a lot more I could achieve and I thought that it would be enough to get into the final qualifying. I wanted to leave that good thought in my head going into the last run. "When I went out in Q3, on our dash when you do a personal best lap a light comes on and when you drop below your personal best the light goes out, and my first flying lap I went into the first turn and I made a mistake and I didn't get the bike pulled up quick enough and I rolled the throttle and immediately the light went out on the dash and I was devastated because it meant another full lap of wear on the tyre. "But I kept the gas on and I rolled really fast into Maggots and Becketts and the light came back on so whatever I lost I made back and that meant game on again and I kept everything as good as I could and raced right to the finish. I saw '03.9 on the dash and I thought to myself could I go for another lap? Which was my normal strategy, and I thought if someone could beat that lap then they deserve it because I laid everything fairly well on the line on that lap. I didn't really believe I could make a better lap without another fresh pair of tyres so I just pulled off and rode it into the pits. "The team have done a really good job with the bike to give me that confidence and I looked at my pit board and saw a 0.2 and I thought who the hell is that close to me, as I was expecting to see a bigger gap, and it was Hopper. He was the previous track record holder - and it shows he's feeling good on his bike. "I am still focusing on my own situation as you would in rounds two, three or four -when you are not thinking about the Championship and just working on your bike and tyre conservation. I am trying to maintain that same focus - if you do the same thing you should be able to achieve the same results. This year I kept the same preparations and kept the same results on track and I don't want to change what works." 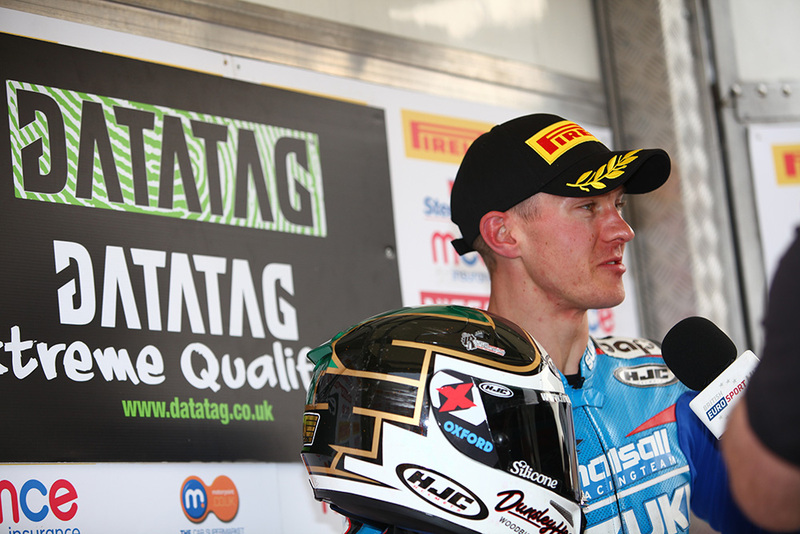 Hopkins had fired in his lap in the closing stages of the session to close the deficit whilst Christian Iddon delivered his best qualifying performance of the season to score Bennetts Suzuki their first front row start of the season. James Ellison heads the second row on the leading Kawasaki; the JG Speedfit Kawasaki rider held off Luke Mossey and the second Milwaukee Yamaha of Jakub Smrz to claim fourth position on the timesheets. Peter Hickman forced his way into the final stage of qualifying and he held seventh place to be the top BMW contender for the RAF Reserves squad ahead of Michael Laverty on the Tyco BMW. 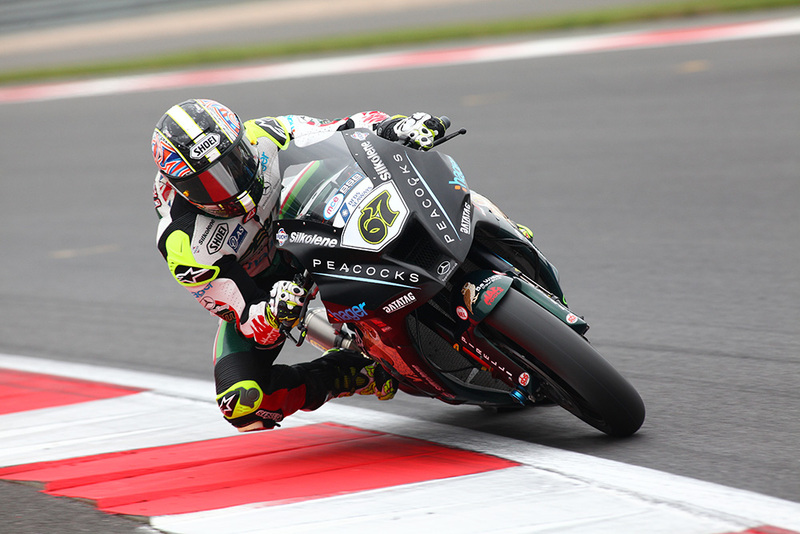 Dan Linfoot held eighth for Honda Racing to make it all six manufacturers inside the top ten. It was a nightmare session though for defending champion Shane 'Shakey' Byrne he will start tenth on the grid for tomorrow's opening race.